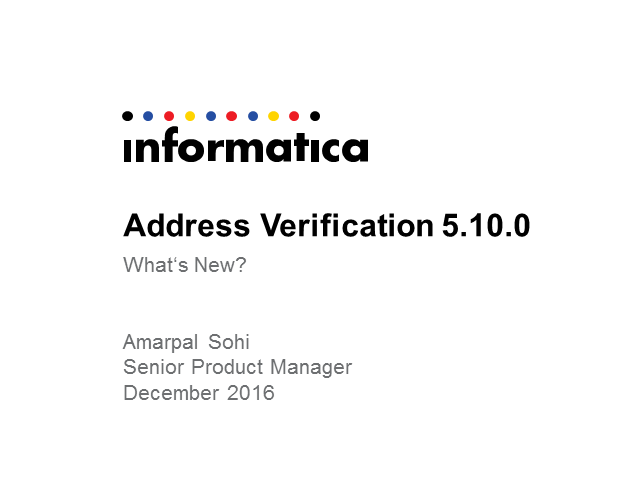 Address Verification 5.10.0 – What’s New? The Fall release of Address Verification is now available. Come and learn about the new capabilities available in Address Verification 5.10.0, which will add value to your organization and help you make more informed decisions. Title: Address Verification 5.10.0 – What’s New?